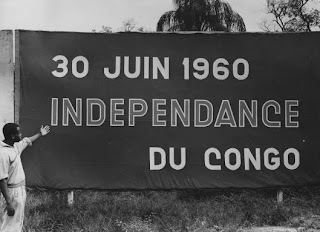 30 June 1960: the Congo declares its independence. Fifty years later, the Royal Museum for Central Africa in Tervuren is organizing an exhibition that will place the events just prior, during and after independence into their proper historical, political and geographical context. The main actors, the Congolese themselves, will take centre stage. In this way, the exhibition will present the period’s myriad individual experiences, historical interpretations, and political events that reverberate to this day. Through archives, objects, photographs, witness accounts, film footage and relevant art objects, the exhibition will offer a variety of perspectives.